With SDCC next week, Diamond Select Toys president DSTChuck is working overtime answering questions from fans, so this week we are presenting a second, extra-long installment of Ask DST! With questions from Pacific Rim to Star Trek and all stops in between, it’s an anything goes kind of Ask! See if your question is answered below, then submit one in the drop-down form up top, or e-mail DSTChuck! Or come to our panels at SDCC and ask it in person! Will you be making Pacific Rim figures for the new movie? I read someone said you guys had gotten the license after Neca passed on it, and was wondering if this is true when can we expect figures? DSTChuck: We were actually offered it first, and happily accepted! Look for some Pacific Rim 2 figures to come out with the new movie. Is it possible to talk you guys into doing an action figure of Krampus, from the 2015 movie of the same name? He could be part of your line of Universal Monster action figures, since I believe the movie was released by Universal Pictures. He’s a cool monster and deserves the action figure treatment. Think about it okay? DSTChuck: Tom, I think WAY back we did have some sort of discussion about Krampus, but it never went anywhere so there are no plans at this time. And our Univeral Monsters line is currently inactive. Really pleased by the quality of the recent Star Trek Romulan Bird of Prey and want to add my voice to those requesting the original series D-7 Klingon Battle Cruiser (in the original purple-gray and green colors of the filming miniature). Please consider completing the trifecta of TOS starships. DSTChuck: David, glad you like it! We do have two more ships in the works right now, but sorry, neither of them are the D-7. Would you ever consider doing an electronic Seaview from “Voyage to the Bottom of the Sea”? The activating button could be one of the missile silos on top of the ship and you could do an in-scale flying sub for it. Thanks for the great products! DSTChuck: Jon, neat idea, but we have never considered that. First off, I’d like to say that I’ve gotten several of the Art Asylum / DST Star Trek ships and Trek Tek items, and certainly enjoy them. I was wondering if some of the older items may be coming back, like the Wrath of Khan Type-2 phaser. I ask about the TWoK phaser in particular, as that is ridiculously hard to find. I’ve also heard about the TNG “cobra” phaser being in the works. Will that also have a holster for it, for those folks who like to accessorize with cosplay? DSTChuck: Chris, at this time we do not plan to make more of the TWOK items, but we do have an ongoing dialogue with our sales team about demand for past items. Yes, the cobra phaser is in the works, it’s at our factory and they are working on the tooling and electronics. We do not have plans to include a holster. Hi. Do you have plans to make the Real Ghostbusters figures in your Select line? DSTChuck: Yes, at this time our plan is to include RGB as part of the line. At the Toy Fairs, there was a variant of the Star Trek III phaser on display. What is it, and are you still planning on releasing it? DSTChuck: At this time, we do not plan to release any variants of the Trek 3 phaser. Do you have any updates and/or pictures of U.S.S. Reliant for us? Maybe a prototype? Also, I am concerned that Star Trek no longer has its own selection on your Ask DST form. Why is it just lumped in with Miscellaneous now? DSTChuck: Mike, we showed an early prototype at Toy Fair and work is progressing on the prototype to send the factory. 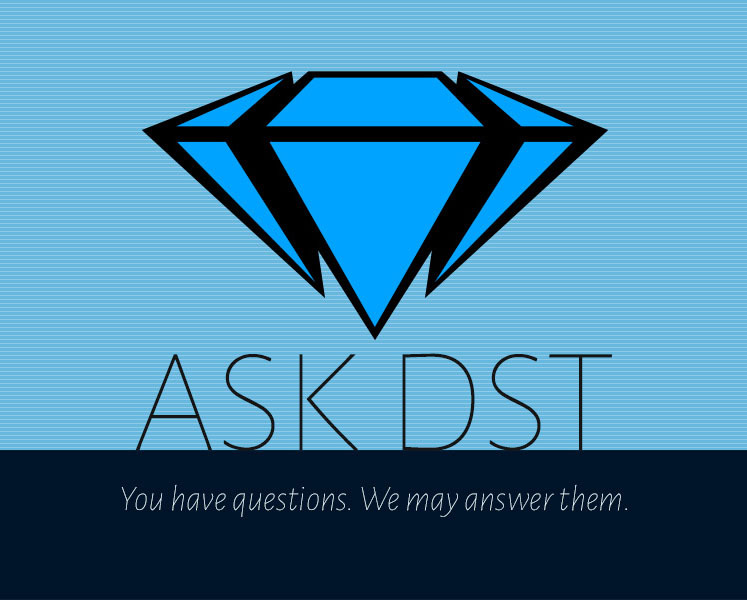 I don’t think you have any reason to worry about the format of the ASKDST… I still answer every question we receive, it’s just that as time went on and we added lines, we needed to make room for others with their unique sets of questions. This works nicer in the miscellaneous section, but it’s not anything more than that. You have said that you are working on the USS Reliant. Any information on that yet (Size, tentative release date, etc.)? DSTChuck: Dan, we will solicit to retailers and fans through Previews when we are more confident about the ship date and the final production size is decided. DSTChuck: We have considered and do consider #3 & #4 . Just wondered if there is any chance of you releasing the last two crew members from your star trek action figure line – you showed pics of Nurse Chapel and Yeoman Rand but they were never released. There were a lot of us who supported your Star Trek line and purchased the whole set of figures only for the last couple to complete the set to be forgotten about – maybe you could release a limited edition two pack? You must have invested in the prototypes so surely it’s worth giving them a try! DSTChuck: We certainly would like to, but there is nothing in the plans at this time, sorry. DSTChuck: Sorry, no, we do not have any plans at this time to go back into the Lara Croft franchise. About the Select 7-inch line of Pirates of the Caribbean, will we just see the three figures of Dead men tell no tales as the entire toy line or will you explore the entire universe with more figures? A Davy Jones, Elizabeth Swan and Will Turner could be great pieces to release and join Jack and Barbosa building a great Black Pearl diorama as the Ghostbusters rooftop. DSTChuck: Unfortunately, we were not able to move forward with out plans for 7” Pirates of the Caribbean action figures. Are you looking at doing an Ecto-1 to fit the Ghostbusters figures any time soon or is this not even to be considered? Many thanks! DSTChuck: Yes, that is something we would very much like to do at some point. Hi. Do you have plans to make Police Academy or the A-Team select figures? DSTChuck: I’m sorry, we have no plans for either at this time. DSTChuck: We do not have plans at this time, but we would LOVE to do another piece at some point. 2. What’s the most annoying request you get? 3. Whom at DC do we need to talk to about Mates? 4. Any chance of getting Dark Horse Comics mates like say of Buffy? 5. No, seriously about that DC thing… what about the CW shows, have you tried to secure that license? 6. Do you want to build a snowman? Asking for a friend. 1. I’m fine, Pedro, thanks for asking. 2. None are annoying. I figure if you take the time to write in and ask, and care enough to do that, this is the least I can no. I suppose the repeat questions can be frustrating. 3. I honestly think the time for that has passed, and I don’t even know who you could even ask. I think the success of the Lego movies at WB, really might have been the last nail – but you never know! 4. If we were to go back to Buffy/Angel, then it would be through Fox, not Dark Horse, but we have no plans at this time. 5. The CW DC shows are not available for Minimates, but we will be offering Vinimates, starting with The Flash! 6. On the east coast, it’s summer, and I think I’m more interested in that than a snowman right now. Can we expect a highly-articulated Dracula Diamond Select figure in the near future? DSTChuck: Sorry, right now we have no plans to go back to the Universal Monsters line – but if we ever did, that would be the top of our list. Still got a question? Submit your question in the drop-down form up top, or e-mail DSTChuck! 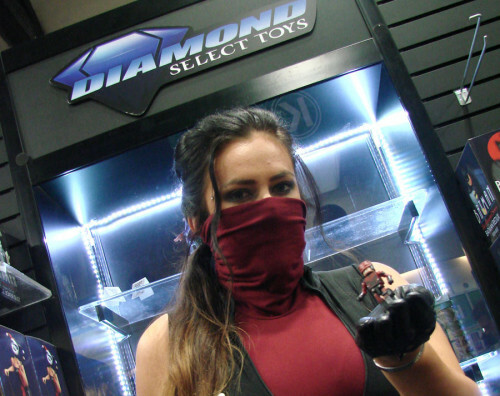 Next Up: Come See Diamond Select Toys at SDCC 2017! Ask DST #297: Star Trek at 50!